Why is it important to understand how these conditions can relate to those of us with fibromyalgia (FM) and/or chronic fatigue syndrome/myalgic encephalomyelitis (CFS/ME)? The answer is, research is consistently pointing to an association of hypometabolism, hypothyroidism, Hashimoto's, and thyroid resistance, particularly in fibromyalgia, but also ME/CFS. This research has been ongoing for at least a decade now, and it is important that we pay attention to what the results are showing. The participants in these studies are representative of us and what we go through every day. Following are some brief overviews and resources for learning more. The thyroid gland is a butterfly-shaped organ located in the front of the neck, just over the windpipe. It produces iodine-containing hormones, such as thyroxin. Thyroxin regulates the rate at which body cells use energy and produce heat. When these hormones are low, a person is said to have hypothyroidism. There are several types of hypothyroidism, (discussed here) but the symptoms are generally the same; physical and mental sluggishness, fatigue, dry skin, weight gain, hair loss, cold sensitivity, muscle cramps, constipation, irritability, and in more serious cases, enlargement of the tongue and/or thickening of the skin. End excerpt (Cooper & Miller, pg 93-94). The most common cause of hypothyroidism is inflammation of the thyroid gland, which damages the gland's cells. Autoimmune or Hashimoto's thyroiditis (insert, discussed later). Some women develop hypothyroidism after pregnancy (often referred to as "postpartum thyroiditis"). More recent research, http://www.ncbi.nlm.nih.gov/pubmed/21085966 suggests that Hashimoto's may be a risk factor for fibromyalgia. I am in hopes that the NIH, will be able update their information as the science evolves. A great book with a holistic approach on hypothyroidism or Hashimoto’s is Living Well With Hypothyroidism: What your Doctor Doesn’t Tell You that you need to Know by Mary Solomon. This is probably one of the best kept secrets of all time, yet a factor that can have a great impact on your quality of life if you have undiagnosed thyroid problems. This means in a normal individual (remember in FM and CFS/ME the HPA Axis is out of kilter) a TSH of <0.3 would indicate hyperthyroidism and a TSH of >3.0 would indicate hypothyroidism. At any rate, either requires further investigation, thyroid scans to actually check the function and ultra sounds to see if there could be a tumor that needs to be removed are indicated, but frequently missed with disastrous results for anyone with thyroid disease, but particularly the FM and ME/CFS patient. The wretchedness of this story is that it STILL is not recognized in most labs, and doctors are either unaware of the changed parameters or chose to ignore them. Hypometabolism is not the same as hypothyroidism. In this case the thyroid is working appropriately, but the body isn’t utilizing the thyroid hormones. Like reactive hypoglycemia, thyroid hormone levels are normal but they are resisted in the peripheral tissue; this is thyroid resistance. As suggested in chapter 1 of our book, some FM and CFID (ME/CFS) patients have hypometabolism. The role of thyroid resistance in the fibromyalgia patient is being investigated, and thyroid autoimmunity has been associated with FM severity (Bazzichi, et al. 2007). It may also contribute to the development of myofascial trigger points (Starlanyl and Copeland, 2001). IMHO, I am not sure that treating hypometabolism will END fibromyalgia, or CFS/ME. Though having my own Hashimoto's treated with thyroid hormone has helped with the life altering fatigue, it has not helped my pain, insomnia, migraines, and other centrally mediated co-morbid conditions or the peripheral pain generators from myofascial trigger points. However, I do believe hypothyroidism has a more than casual connection to fibromyalgia. And, it is possible that some diagnosed with chronic fatigue syndrome, may not have a viral connection, but a metabolic one if they have undiagnosed thyroid disease. As in my case, one cannot rely solely on a TSH. The proper tests must be done for a proper diagnosis. Knowing if you have hypothyroidism or hypometabolism, and treating it will certainly help control this co-existing condition. As we talk about in the book, this is extremely important and gives one a sense of empowerment over fibromyalgia and chronic fatigue syndrome. Hashimoto’s thyroiditis is a condition known to coexist—although not exclusively—in a certain subgroup of CFID patients. It is a type of autoimmune thyroid disease, meaning the body’s immune system attacks and destroys the thyroid gland. Its characteristics are inflammation of the thyroid gland, fatigue, depression, cold sensitivity, weight gain, muscle weakness, thickening of the skin, constipation, dry or brittle hair, muscle cramps, increased menstrual flow, and goiter. Some patients may not have any symptoms. End excerpt (Cooper and Miller, pg 95). As we now know, Hashimoto's has been significantly linked to fibromyalgia, http://www.ncbi.nlm.nih.gov/pubmed/21085966 in the latest Bazzichi, et al study (Nov 2010). This is not the first study and should be receiving the recognition it deserves by those who treat fibromyalgia. 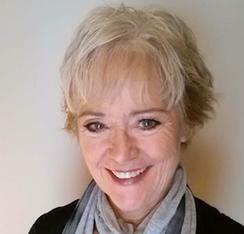 Kristin Thorson, is a patient, advocate and editor of Fibromyalgia Network. http://www.facebook.com/#!/FibroNetwork She also runs the nonprofit organization, http;//afsafund.org which funds important FM research and the board has several well known physicians. As do all of her articles, the January 2011 edition of Network News article, “Thyroid Malfunction Dragging you Down? : Symptoms, Tests and Treatments" caught my eye. I suggest you take her article and the studies cited her, and a copy of my blog with you to your doctor if you are having unusual symptoms consistent with those mentioned here. Preface your remarks with, you probably already know this, but I found it quite interesting, and thought I would like to share it with you so we can get to the bottom of my symptoms. Get that TSH, free T4, free T3, TPO and TG. Take them actual journal articles and articles supported by research. If they are not interested, find a new doctor. You can find my letter of gratitude to the authors in my blog, Thyroid Autoimmunity and Fibromyalgia, Letter to the author, (Laura Bazzichi, lead author of studies). I hope you will read it. It is important to recognize people for their unending dedication to helping others. Bazzichi L, Rossi A, Zirafa C, Monzani F, Tognini S, Dardano A, Santini F, Tonacchera M, De Servi M, Giacomelli C, De Feo F, Doveri M, Massimetti G, Bombardieri S. “Thyroid autoimmunity may represent a predisposition for the development of fibromyalgia?” Rheumatology International, Nov 18, 2010., by Division of Rheumatology, Department of Internal Medicine, University of Pisa, Pisa, Italy. L. Bazzichi, A. Rossi, T. Giuliano, F. De Feo, C. Giacomelli, A. Consensi, A. Ciapparelli, G. Consoli, L. Dell’osso, and S. Bombardieri, “Association between thyroid autoimmunity and fibromyalgic disease severity,” Clinical Rheumatology 26, no. 12 (2007): 2115–20. 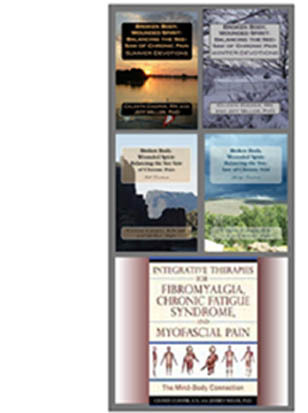 Cooper C and Miller J. Integrative Therapies for Fibromyalgia, Chronic Fatigue Syndrome, and Myofascial Pain: The Mind-Body Connection. Healing Arts Press: Vermont, 2010. R. L. Garrison and P. C. Breeding, “A metabolic basis for fibromyalgia and its related disorders: the possible role of resistance to thyroid hormone,” Medical Hypotheses 61, no. 2 (2003): 182–89. Devin. J. Starlanyl and Mary. E. Copeland, Fibromyalgia & Chronic Myofascial Pain Syndrome: A Survival Manual (Oakland, Calif.: New Harbinger Publications, Inc., 2001), 44. Im sure natural bovine thyroid is good for you too. Don't take my word for it, use it and see for your self.